Think Bingo Review - 200% bonus on your 1st deposit! Think Bingo is pretty much the elder of the bingo family, having launched in 2004 and still offering the high quality games and bonuses we at Mobile Bingo Bonuses have come to expect. Whether your preference is bingo or instant games, we’re sure you’ll be pretty satisfied with the choice available. The range includes 90 Ball Bingo, 75 Ball Bingo, Progressive Jackpots, Instant Win, Casino and Slots. For those times when the pennies are low, the games can continue because Think Bingo offer complimentary bingo and spins on instant games. When you add in the fact that Think Bingo is available on both desktop and mobile devices, then you’ll soon discover that popular games such as EggOmatic can be played when and wherever you like. 5,000 loyalty points for each friend you refer. Registering with Think Bingo is incredibly easy and when you’re ready to make your 1st deposit, you’ll enjoy a 200% cash match bonus. To put this simply for adding the £10 minimum, you’ll be given £20 bonus credit or a total of £30. This provides the perfect opportunity for you to test out a number of games, without spending too much of your own money. 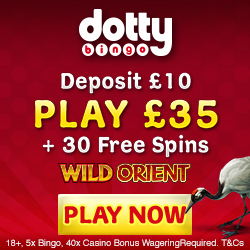 Bargain Bingo – Play BOGOF Bingo every Wednesday at 8pm on their £500 Jackpot Game. Weekend Bingo – Join Think Bingo twice a month for weekend bingo, where tickets cost 5p and you could win up to £1,000. 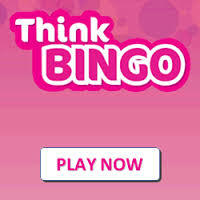 If you enjoy making friends online then make sure you check out the Think Bingo chat rooms. As well as friendly chat moderators, you can play for extra Think Points which can be converted into additional gaming credit. Think Bingo’s loyalty scheme revolves around their Think Points, where for every 15p wagered on bingo games you’ll earn 1 Think Point. You can then convert 1,000 of your points into £1 bonus money for extra gaming, which is a win win in our eyes. If you fancy walking the red carpet, then make sure you apply for the Think Bingo VIP Scheme. You’ll enjoy your own VIP Manager and additional rewards and gifts. For those who are already planning on telling their friends about the amazing bonuses on this site, then make sure you take advantage of the refer a friend bonus. Each friend who registers and deposits will receive the deposit bonus and you’ll earn 5,000 loyalty points. There is a limit to 15 referrals each month, but that’s still plenty of extra gaming credit. If you require any assistance then you can contact a representative via email or telephone. They accept the usual banking methods including Credit and Debit Cards, U Kash, Entropay, Paypal and Paysafe Card. 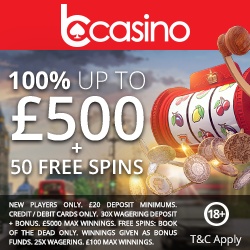 If you’re ready to claim the impressive 200% cash match bonus, then head over to Think Bingo and enjoy!